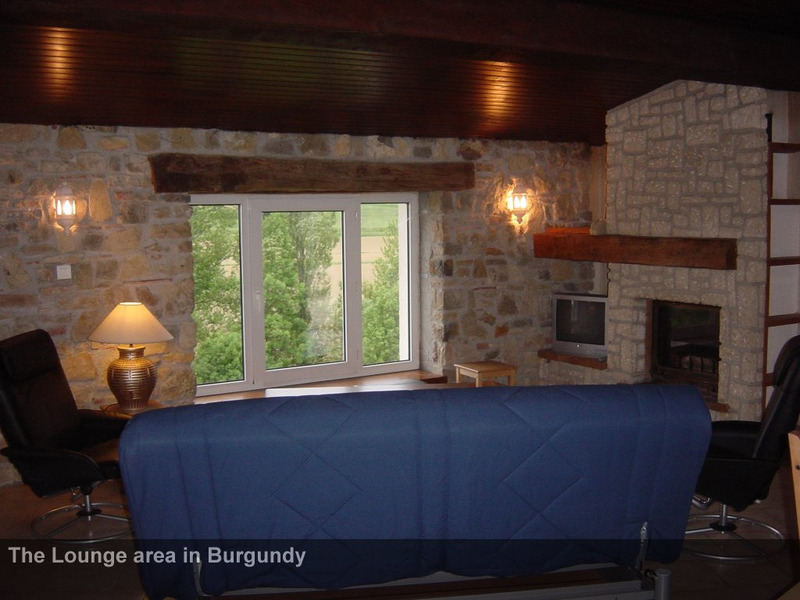 Gite 'Burgundy' is an individual villa sleeping 6 people with all rooms arranged on one level. Burgundy benefits from a private South-facing terrace and barbecue for alfresco dining. 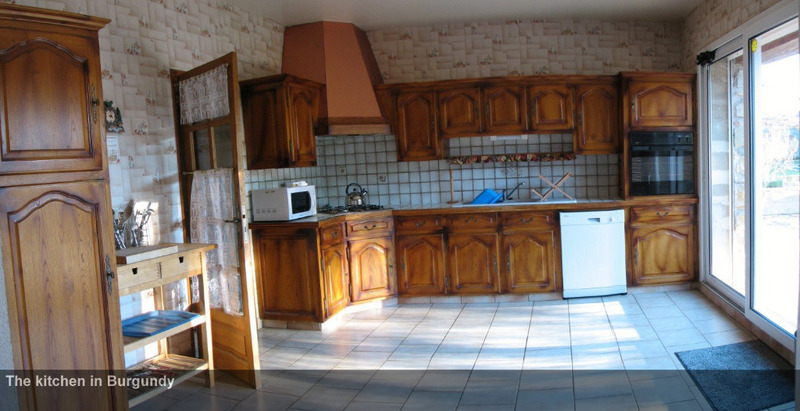 The gite consists of a large fully-fitted kitchen (with dishwasher and washing machine). The patio windows from the kitchen lead out to the terrace and have electric shutters (to keep the gîte cool in Summer). Adjoining the kitchen is the large lounge/dining room with a log-burning stove and superb views - down the valley to the West, and through the village to the Pyrenees in the South. The lounge also has patio windows leading on to the terrace, a separate dining area, and a large picture window overlooking the gardens and stream. 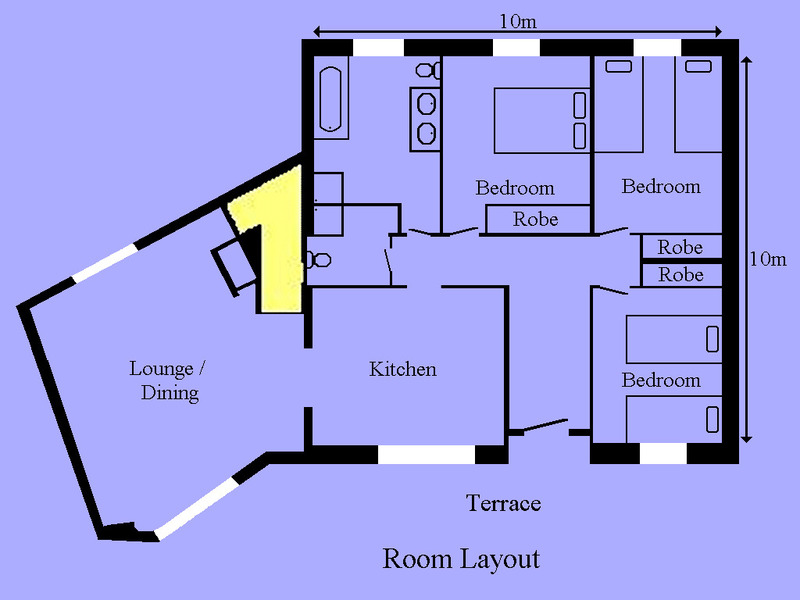 One bedroom has a double bed, the other two have twin beds. 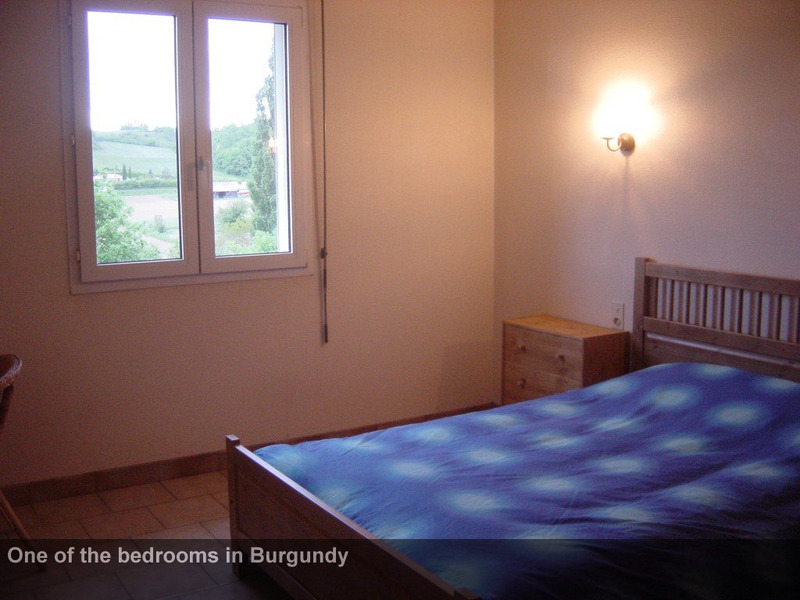 The gite also has two fully tiled bathrooms, one with a twin washbasin vanity unit, shower, bath, and WC, the second with a shower, washbasin and WC. All the gites have free wi-fi, superbly equipped kitchens with a dishwasher and washing machine, English TV and a private terrace or garden with sun beds, stone built barbecue, patio table and chairs and magnificent views of the countryside and/or the Pyrenees. We are on the edge of a pretty village, ten minutes from the medieval town of Mirepoix, with its restaurants, cafes, weekly market and summer festivals. Carcassonne, the 3rd most popular tourist attraction in France, is 30 minutes. Our regional leisure lake Lac de Montbel, with 1500 acres of water, beach and restaurant, is ten minutes away. The Mediterranean beaches are one hours drive. The extensive vineyards of the Languedoc are within 30 minutes. Extensive walking, cycling and angling, boating, and horse riding is available 'on the doorstep' in the Pyrenees and the Medieval Chateaux of the Cathars surround the area - Montsegur, the 'last stronghold' is 20 minutes away. Please see our own website www.hideawayinfrance.com for detailed directions from a number of starting points or use the google map above - the pinpoint marks us exactly! 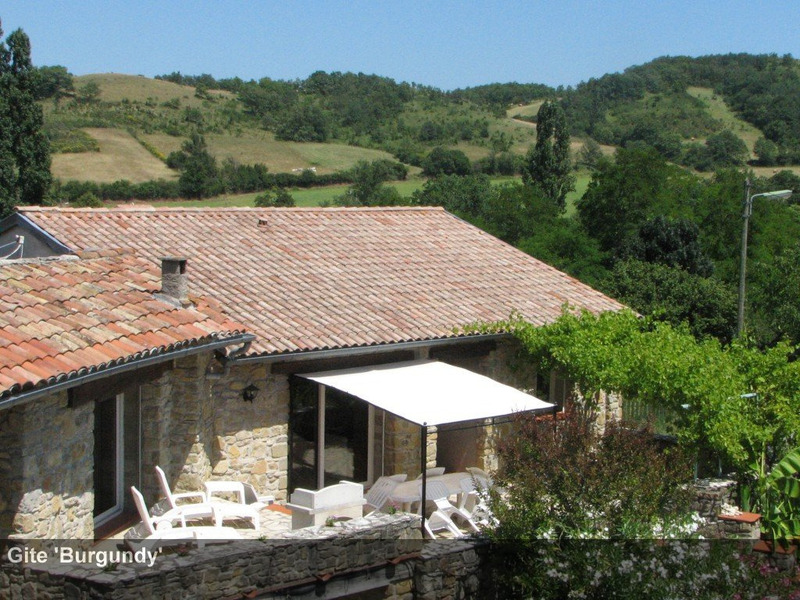 We are a 'hideaway' in France - our village is small and rural and has changed little over the decades and centuries, we are a quiet base away from the noise and hassle of town and city life. Our village 'Limbrassac' is a medieval cluster of about 60 houses with a church. The medieval town of Mirepoix is a tourist gem in the area and we chose to set up our business here close to Mirepoix but with the tranquility of village life. Mirepoix has a 13th century timbered 'bastide' square, around which there are bars, cafes, restaurants (there are over 20 in the town), boutique shops and the essentials of bakers, butchers, fishmonger and so on. The town has an excellent weekly market on a Monday morning and many events taking place during the year. It also has a SuperU supermarket and Aldi with everything you need and is 10 minutes drive North us. Ten minutes drive East from us Lac de Montbel is the largest inland watersports lake in the South West of France covering an area of over 1500 acres and provides sailing, windsurfing, canoeing, pedal boats, several beaches (two have monitored swimming in summer) and a couple of snack bars / brasseries. There is also a good 17km mountain bike, walking and horseriding route around the lake.